Since ORSA wants to know the head count for the organizing, please confirm your participation to Saminda Basnayake on 0727196111 as early as possible. Next committee meeting on Centenary celebration planned to held on coming Poyaday. Col. K.B.S. Welagedera had passed away morning of 13th January 2010. Col. Welagedera came to Dharmaraja with his brothers in about 1951 from Trinity College. He was a keen senior cadet who attended the cadet camp at Diyatalawa in 1956, that won the Battalion Banner for Dharmaraja. As a teacher he went on to become the Head Master of the Primary School at the Maligawa Square. He also held office in the Cadet Corp in the Sri Lanka Army and rose to the rank of a Colonel. Col. Wele was a founder member of the Old Rajans' Cadet Union and was its Secretary till the time of his death. He in fact was the unfailing live wire of the Cadets' Union and was in a great measure responsible for the Union's support to the College Cadet Squad, which due to these efforts won the Hermon Lose Trophy twice. With his death Dharmaraja lost a valuable Old Boy, a jewell on her crown. Though he consistently contributed to Dharmaraja selflessly, he never asked anything in return. His honesty and integrity was immaculate. We mourn his death. May he his sojourn in Samsara be shortened. These are some of the captures taken from the Discussion that had in order to come up with the Annual Year Plan for the year 2011. Event was held in the OBU Headquarters and organized by Saliya Dahanayake, on behalf of the ORSA. Members of ORSA paid their last respects for their colleague J.L. 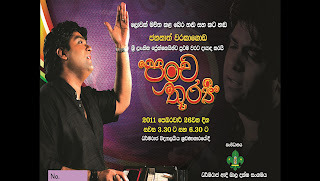 Jayasinghe. Mr. Jayasinghe has been a great team member for most of the events organized by the ORSA during past few decades. Specially the work he did with video footages of all the international events organized by ORSA and 1st Kandy Dharamaraja Scout Group are priceless. May He Attain Nibbana !! Keeping with the convention of starting the calender year with the blessings of Dhamma, both ORSA and 1st Kandy Dharmaraja Scouts group jointly organized a Pirith Chanting Ceremony and a Arms giving to Maha Sanga. Weather evil failed to avoid us being having the Pirith Chanting at our own Den. The Pirith Chanting Ceremony was held on 8th Saturday to demolish bad evils and to get good blessings for the upcoming year. The Principal Mr.S.M. Keerthirathna, Group Scout Leader Mr. Manjula Wijesiriwardena, members of ORSA and Scouts from the 1st Kandy Scout Group were present at the event. Although weather evil was defeated previous day, it had partial win on following day by forcing us to move the Arms giving from the Den to Sri Sangarajah Piriwana. The event was very well organized by the main organizer Mr. Asitha Edirisooriya and the Scout group. Once again it was pure determination and courage for success of both ORSA and Scouts guided the event to be a success. The Dhana (Alms Giving) ceremony will be held at the same venue on Sunday, 9th January. 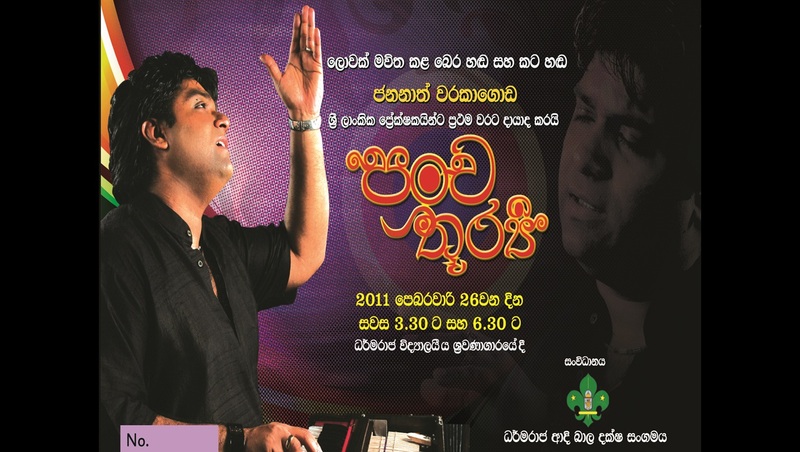 The event is jointly organized by 1st Kandy Dharmaraja Scout Group and the ORSA. If you would like to contribute or need more details, please contact Asitha Edirisooriya on 077639577. Following are some of the Captures taken from RISGO centennial 2013 promotion in 8th National Jamboree at Agunukolapallessa, Hambanthota. For the RISGO Centennial 2013, Organizing committee planning to get participation from as many as counties who doing scouting. There are more than 100 countries. In order to accomplish this big challenge, Organizing committee introduced a Invitation programme with a sponsorship. Anyone can join to this programme, and can sponsor for a country contingent. So far, Following are the joined colleagues. ORSA wants to thanks for their contribution. At the same time, ORSA further wants your help, to Success this big challenge. So any one likes to join, please contact Gayan Gunawardena on 0714179877 or email us.